Japanese JAL and Indian Vistara airlines have entered a codeshare partnership that will open up more routes between India and Tokyo. With the signing of this agreement, Vistara becomes the only codeshare partner for Japan Airlines in India. 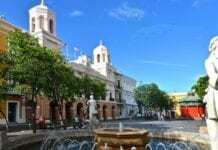 The sale of tickets open on 26 February 2019 on all channels and major GDS systems, for travel from 28 February 2019. 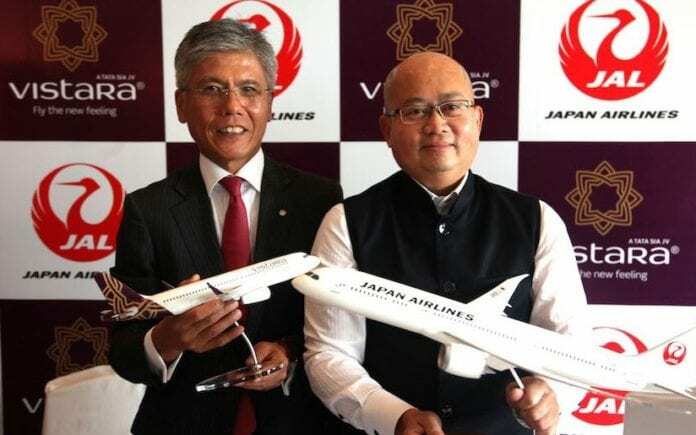 As part of the agreement, Japan Airlines will add its ‘JL’ designator code to approximately 32 Vistara-operated flights each day across India covering seven Indian cities, namely Mumbai, Kolkata, Chennai, Bengaluru, Hyderabad, Ahmedabad and Pune. JAL and Vistara already have an interline/through check-in partnership and the two airlines had signed a Memorandum of Understanding in September 2017¹ to pursue commercial opportunities together. Japan Airlines customers traveling on Vistara will enjoy complimentary meals and will be able to choose between three different cabins, including Premium Economy class. Japan Airlines Mileage Bank members can also earn miles when booking on ‘JL’ coded Vistara flights.